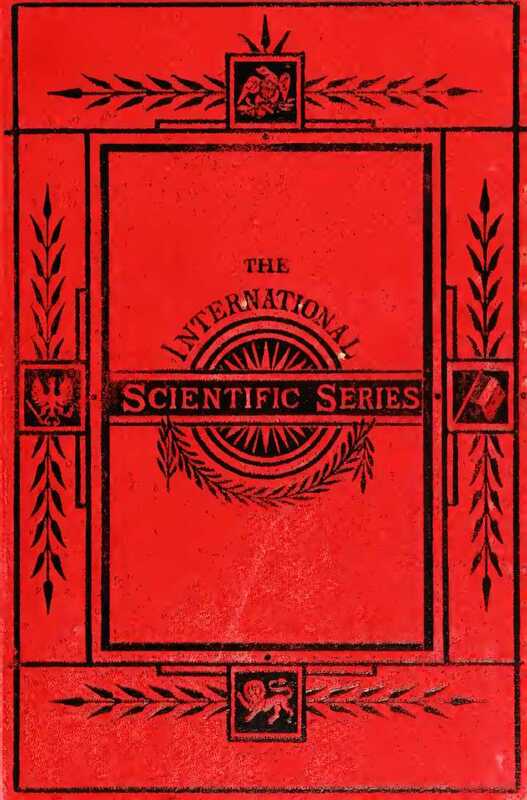 In examining John William Draper’s History of the Conflict between Religion and Science (1874), it is important to recall that it belonged to D. Appleton and Co.’s popular International Scientific Series (ISS), which was, as Roy M. MacLeod put it in his seminal essay, “Evolutionism, Internationalism and Commercial Enterprise in Science: The International Scientific Series 1871-1910” (1980), the Victorian attempt at “codifying and popularizing scientific knowledge in a systematic fashion to a wide reading public.” Indeed, MacLeod’s essay was perhaps one of the earliest examples of what Adrian Johns would later call the “history of the book.” In MacLeod’s case, it was a series of books published under the entrepreneurial ambitions of American science popularizer Edward Livingstone Youmans. Little work has been done on the ISS. MacLeod is a helpful starting point. In his essay he describes how Youmans traveled throughout Europe to secure authors and publishers for the series, including many of the leading scientific naturalists of England, John Tyndall, Thomas Henry Huxley, Herbert Spencer, and many others. It is also worth pointing out that Youmans was the first editor of Popular Science Monthly, which he used “as a vehicle for communicating the findings and ideas of scientists to the educated American public,” as William E, Leverette has aptly observed. Thus in order to ascertain the diffusion of scientific naturalism and, more important, Draper’s History of Conflict, Youmans’ publishing motivations and ambitions are critical. MacLeod also provides a useful Appendix at the end of his essay listing the English editions of the ISS, published by Kegan Paul, Trench, Trübner & Co. According to Lightman, the ISS was “based on diffusing Spencerian evolution beyond America to the world at large.” Youmans was obsessed with Spencer’s work. Indeed, his Popular Science Monthly promoted the idea of evolution and evolutionary philosophy not of Darwin but of Spencer. As Leverette has pointed out, Spencer’s ideas were frequently defended in the Popular Science Monthly. Besides Spencer, however, Youmans had formed a “British Committee” for the ISS that included Huxley and Tyndall. With this trio secured, Youmans added Henry S. King as the British publisher of the series. The series enjoyed great success, particularly the works published by Spencer and Draper, which both through more than 20 editions. Day by day the Mystery of the Altar seems greater, the unseen world nearer, God more a Father, our Lady more tender, the great company of the saints more friendly, if I dare use the word, my guardian angel close to my side. All human relationships become holier, all human friends dearer, because they are explained and sanctified by the relationships and friendships of another life. Sorrows have come to me in abundance since God gave me grace to enter His Church, but I can bear them better than of old, and the blessing He has given me outweighs them all. May He forgive me that I so long resisted Him, and lead those I love unto the fair land wherein He has brought me to dwell! It will be said, and said with truth, that I am very confident. My experience is like that of the blind man in the Gospel who also was sure. He was still ignorant of much, nor could he fully explain how Jesus opened his eyes, but this he could say with unfaltering certainty, “One thing I know, that whereas I was blind, now I see. And as Lightman points out, when Kegan Paul took over the series, “he did not feel bound by the contract that Tyndall, Spencer, and Huxley had signed with King.” For one, he no longer selected authors who wished to disseminate evolutionary naturalism. All three would eventually resign from the Committee. In their absence, Kegan Paul would bring in new authors who embraced new versions of natural theology. However, the series was never as successful as it was with Huxley, Tyndall, and Spencer at the helm. By 1911, the series came to a close. This morning I began reading the “special section” collection of articles published in The British Journal for the History of Science, entitled “Book History and the Sciences” (2000). Jonathan R. Topham provides an introduction explaining why historians of science have been not a little skeptical about the value of the book history approach. “It is often dismissed as an intellectual fad or as an enterprise which is illuminating but ultimately peripheral, rather than being valued as an approach which can offer major new insights within the field.” Historians of science in recent decades have tried to get away from an “unsocial history of ideas, usually rooted in texts,” so their apprehensions are well taken. In this sense they see book history as retrograde. Besides this introduction, I found particularly fascinating Lesile Howsam’s “An Experiment with Science for the Nineteenth-Century Book Trade: the International Scientific Series.” She argues that “a close examination of the publishing history of scientific books can be particularly fruitful for the scholar interested in how text and physical object combined to constitute the reader’s experience at a given place and moment in time.” Her object of study is the International Scientific Series (ISS), published in Britain and North America from 1871 to 1911. She asks a series of questions about the histories of authorship, of publishing and of reading in the Victorian era: “What are historians of Victorian science to make of this collection of texts, most of which were written by scientific practitioners, and some by world-famous men of science? Can we construe the contributions as an ideological community in the scientific culture of the late nineteenth century? What are we to make of the publishers and promoters of the series? Can anything be found out about the people who read the books and what contribution they made to popular conceptions of what constituted the ‘sound material’ of science that prevailed in the closing decades of the nineteenth century?” But whereas historians of science may inquire about the way professionals and amateurs defined science in the ISS, historians of the book may inquire: “What and how did these works fit in the contemporary context of scientific publishing, and of publishing in general? Were the texts as fixed as they appear, or is there evidence of revision? When revisions occurred, were they announced to booksellers and the reading public, or were they concealed? Did publishers agree with the titans of science who gave them editorial advice about what constituted a saleable manuscript, and when they failed to agree, whose opinion prevailed? Books emerge not merely from artistic motives, but from a “desire to instruct,” “inform,” or “persuade.” Books, and nineteenth-century books in particular, were “conversion projects,” and scientific authors of science of nineteenth-century Europe and North America “were just as passionate evangelists, for science, as were their opposite numbers in the missionary societies.” T.H. Huxley and his coterie wished to revolutionize the dissemination of science in society, to create a much broader audience than before. They found this in Edward Livingston Youmans (1821-1887) call for a series of new books “covering the entire field of modern science.” Youmans was an American writer working for New York publishing firm D. Appleton and Company. According to his biographer, John Fiske, Youmans was “an interpreter of science for the people.” In 1871, Youmans traveled to Britain to pitch the series to a number of scientists and philosophers, including John Tyndall, T.H. Huxley, his close friend Herbert Spencer, and even requested Charles Darwin to endorse the project. Youmans and William Henry Appleton entered into contract with London publisher Henry S. King and Company later that year. Before returning to New York, Youmans also traveled to France and Germany, making arrangements with publishers and scientists for the corresponding series there. Huxley, Tyndall, and Spencer would form as ISS’s advisory body, “charged with helping the publisher decide which books should be included in the series, and to some extent with soliciting further titles form their powerful network of acquaintances.” Their motives, according to Howsam’s analysis of letters and other documents, were threefold. First, they wanted greater recompense for their own personal efforts. Second, “they envisioned the series as a tool in their campaign for a more secular approach to public policy.” Finally, they wanted the series to “educate” the non-professional reader about what they perceived was the latest developments in the physical and social sciences.